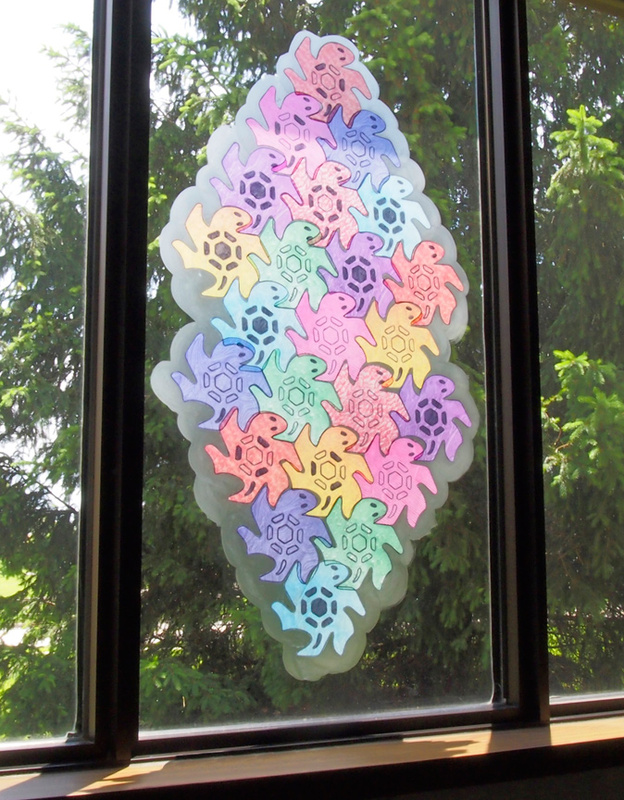 Cover your entire classroom window with beautiful stained glass designs. Match the edges of the adorable animal shapes to create perfect tessellations. 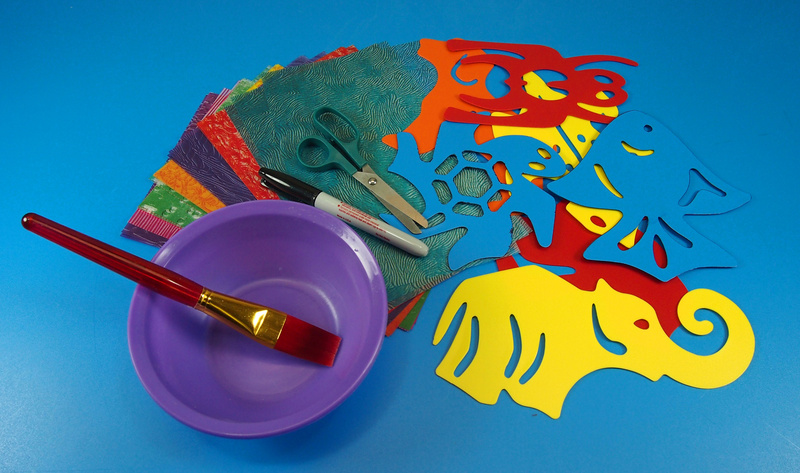 Teach students about tessellations, colors, light refraction, puzzle matching and more! The end result is amazing and everyone gets to take part in this activity! 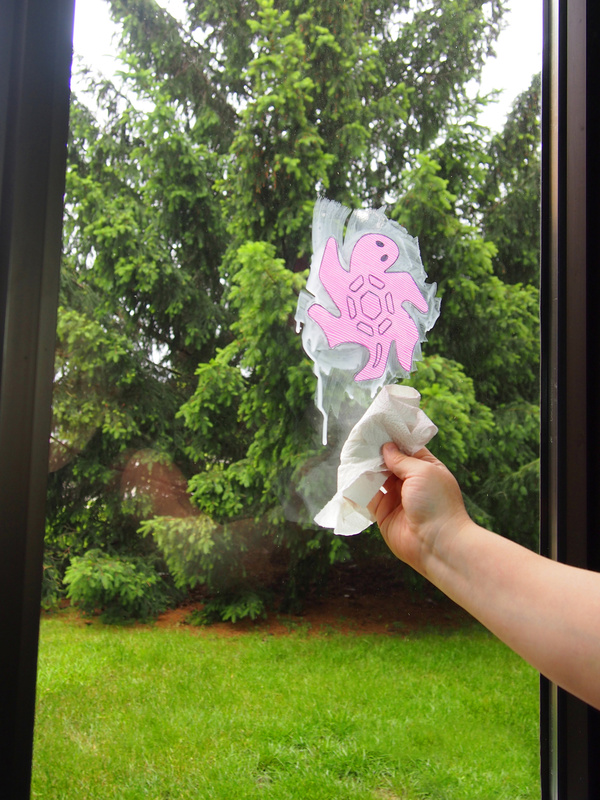 This project calls for a lot of glue; if you’re worried about glue setting on the window, keep in mind that it wipes off easily with a bit of water and glass cleaner. The clean-up is much easier than you’d expect! Read below for more info! Our R5863 Tessellations Animal Templates feature 12 different animal designs. Each design can fit into copies of itself. A tessellation is any shape that can be tiled to completely cover a surface. The images match together seamlessly so that no gaps are seen. There are rules for making tessellations. 1. There should be no gaps between the shapes or figures. 2. All the tessellations must be regular polygons. This means that the tessellation must have some sort of geometric shape to them. 3. All vertices must be the same. The vertices or points of the tessellations should all have the same angles to match into one another. Introduce students to relevant topics in geometry and art while discussing tessellations. Bring up photos of M.C. Escher’s work and demonstrate how tessellations are made with our fun project! Lay out all your materials. Choose one type of animal to decorate the window with. Tip: Each shape produces a different kind of tessellation. As a result, they aren’t interchangeable. 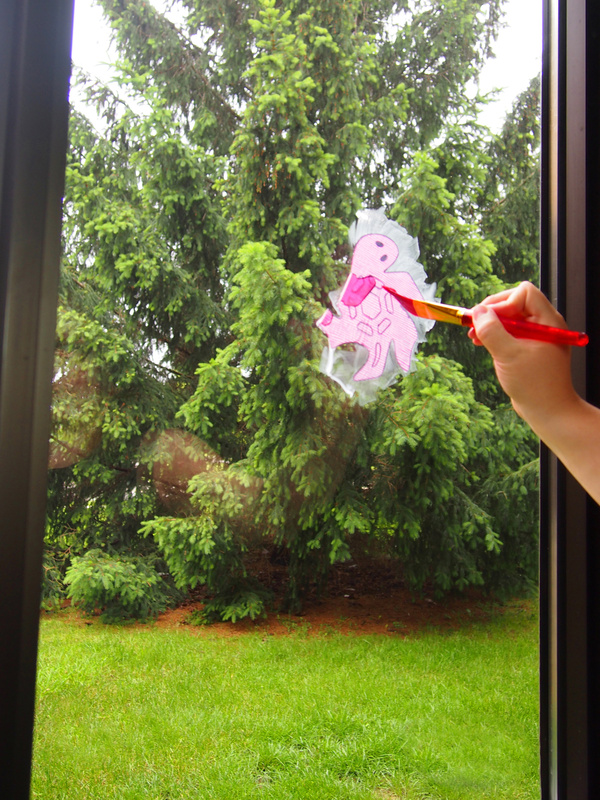 You can divide the window up into sections and have each group of students work on a different animal tessellation. 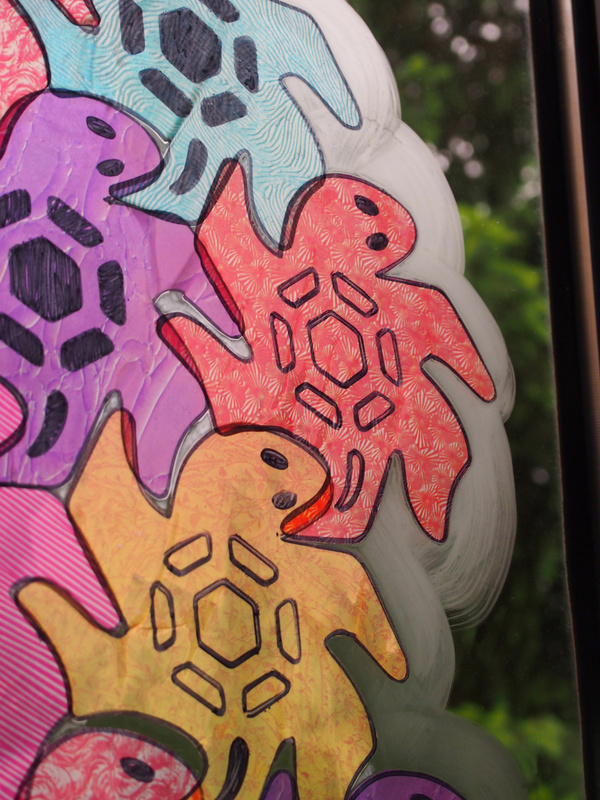 Trace one of the R5863 Tessellations Animal Templates onto the R15272 Frosted Glass Paper. Cut the shape out along the solid traced line. Repeat as many times as needed to fill the window. 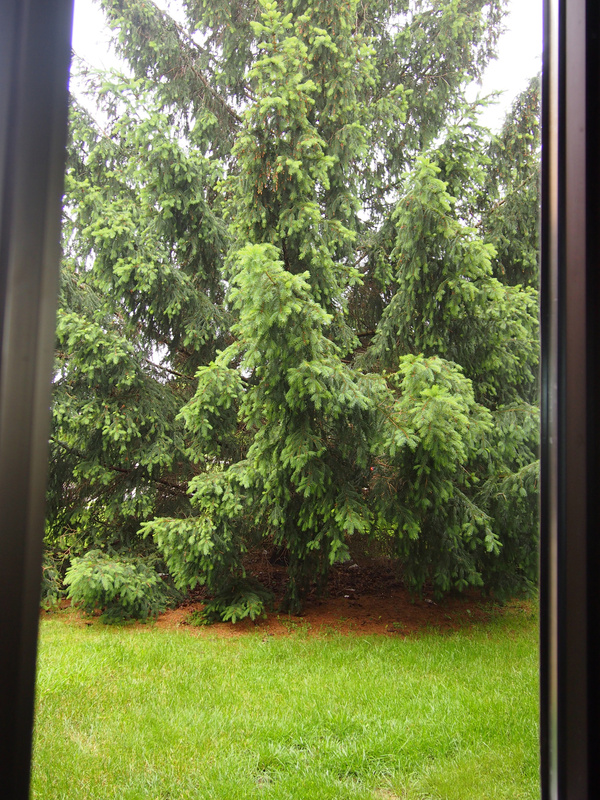 Isn’t our pine tree lovely!? This area gets a lot of sun during the day so I decided to put our tessellations design on the window nearest to it. Tip: Make sure you wipe down the window before you start! A clean window always shows through more light than a muggy one! Soak the animal tessellation in watered-down glue. 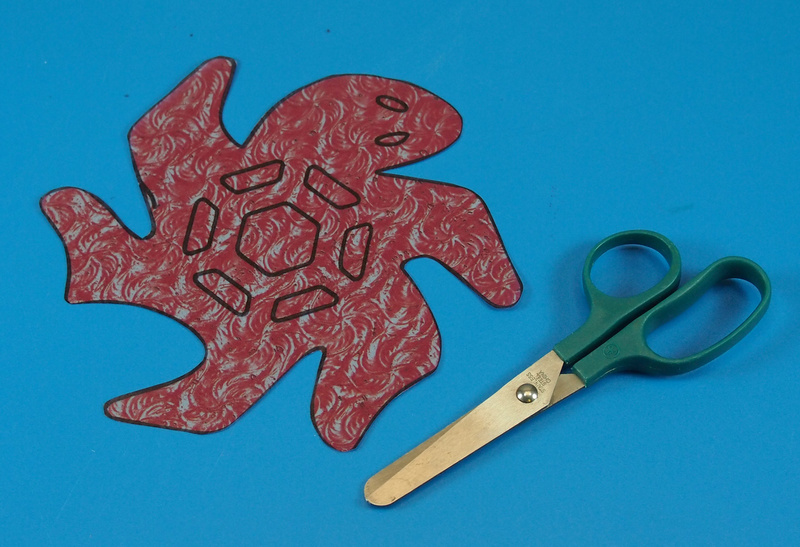 Use a brush to smear an even layer of glue onto the tessellation. 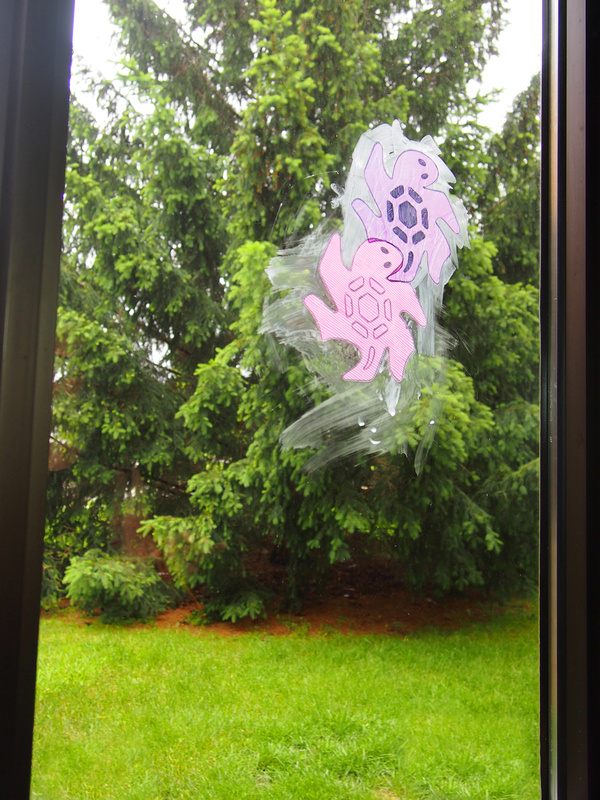 Stick the tessellation up onto the window and dab a bit more glue around it to seal the edges. Spread the glue outwards from the edges to adhere the tessellation. The glue may drip a bit, so be sure to wipe it up with a damp towel. Repeat the steps for the next tessellation. Starting to look bigger now! Dab more glue wherever needed to keep the tessellations stuck to the window. You can use the glue to make a ‘border’ for the tessellations. Note: The tessellations may not perfectly align, but try to set the shapes as close as you can together. All of the parts fit into each other on all sides. There comes the sunlight peeking through! To remove the tessellations from the window, follow the steps below! 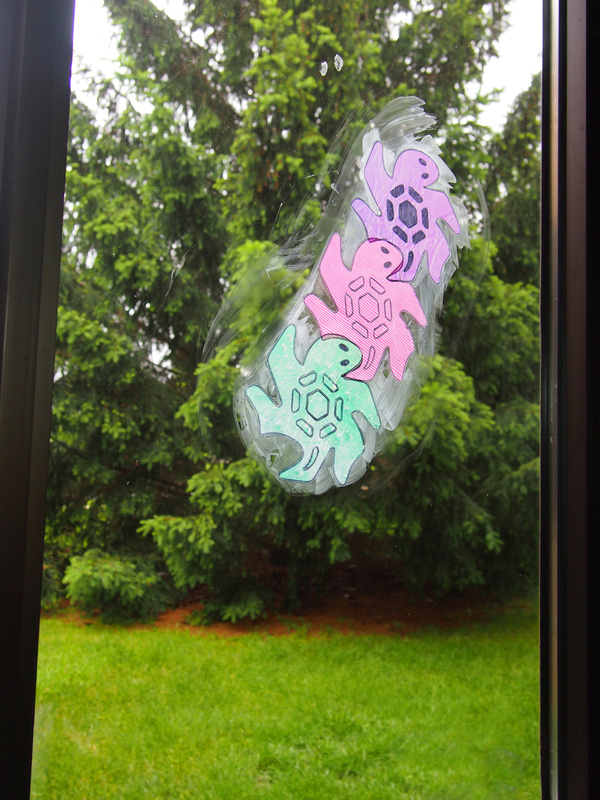 Do NOT remove the tessellations straight from the window while they are dry. This will cause the paper to shred and leave bits of paper all over the window. Instead, use a spray bottle of warm water. Spray the warm water over the entire tessellation mural starting from the top. Rub the mural with paper towel to get the water under the edges of the tessellations. Let the water sit for a few minutes to soak into the paper. Add a few more sprays of water. Within a few minutes, the shapes will begin to peel right off. If the tessellations have stayed onto the windows for more than a few minutes, leave the water to soak into the paper longer until the shapes begin to release from the window. Use a wet paper towel to moisten any parts where the glue still remains. Once most of the glue is removed with water, use normal window cleaner to make your window sparkle clear again! Send us photos of your beautiful stained glass tessellations! Contact us through the contact form. We will feature your project in our next post! This entry was posted in Art, Big Ideas, old and tagged art education, arts and crafts, kids art, stained glass crafts, tessellations animals, tessellations art crafts, window crafts by roylcoblog. Bookmark the permalink. Thanks for the feedback! We love to find unique ways of combining multiple subjects to make something that is both educationally and artistically satisfying. Let us know if you ever try it out!